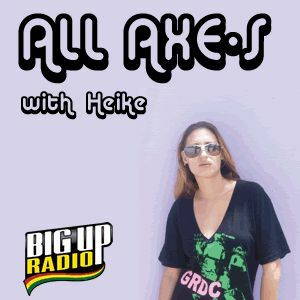 Straight outta Kingston, Jamaica comes the All Axe-S reggae dancehall show hosted by Heike Wollenweber. Tune into BigUpRadio Dancehall every Wednesday for hot interviews, special features and more. The amazing Chrisinti guest stars on ALL AXE-S #81 this week. Hosted by Heike Wollenweber, ALL AXE-S is a dance hall reg gae show fea tur ing spe cial guests and all of the lat est dance hall sin gles and riddims. Find out all you need to know about what's going on with Chrisinti! Tune in this Wednes day, March 21st! Showtimes: 3am, 9am, 3pm & 9pm EST.